The commentary below represents the ideas, observations and opinions of the author. Toward the end of my discussion with Al Thomas, I mentioned one of the particular joys that birds can bring to your life. If you are out looking for birds, I said, you only have to see one species that is new to you. If you can ID it, all the better. But just seeing a new bird makes you happy for the rest of the day. If you are a regular H-F Chronicle reader – that is a good possibility if you are eight words into this column – you may have already wondered, “Who are all those people?” As in, “all those people” who are writing stories in the H-F Chronicle. 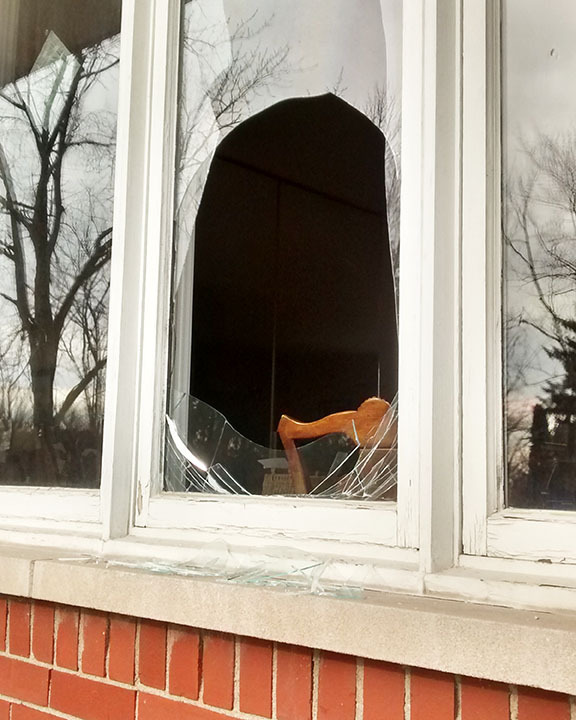 Chronicle editor Tom Houlihan tells the harrowing tale of his Sunday morning peace being shattered, literally, by a hawk that crashed into his dining room window. Hammers, nails, two-by-fours, sheets of plywood. And creativity. In honor of the Homewood-Flossmoor Park District's 50th anniversary, Tom Houilihan recounts how one park program contributed to his family. Read more about Hammers, nails, two-by-fours, sheets of plywood. And creativity. Your friend is hosting a dinner party and you’ve just finished coffee and the dessert course. Suddenly he stands up, pulls a sheaf of papers from a folder and begins speaking. In a minute, he’s talking about how many students placed in the top quarter in language arts and math. You glance at your watch. An old Underwood typewriter brings back memories — and shows how far writing technology has come. Believe it not, there's a local businessman who still sells and repairs good old typewriters. Yes, the Flossmoor banana truly exists. I know. There’s one sitting on my dining room table. To be honest, it doesn’t look much like a banana. More like a mango, which it resembles in size, shape and color.